I offer extended stay vacation rentals in Las Vegas. You Got It Maid has helped me tremendously with preparing the rentals between guests. I am frequently unavailable during change over and I can rely on YGIM to make sure the rental is “hotel perfect” when my new guests arrive. They have even helped out with guest emergencies when I was unavailable to assist. A tremendous resource for the hospitality host. You Got it Maid is an amazing service! They have made our Furnished Rental in Las Vegas an absolute breeze. Their team is professional, reliable and trustworthy. I have been using their service since 2013, and every time without fail, our condo is spotless and so clean. I never have to worry about anything with this company because I know everything will be taken care of and they have shown that we can completely trust them. I highly recommend You Got it Maid. They truly are amazing! 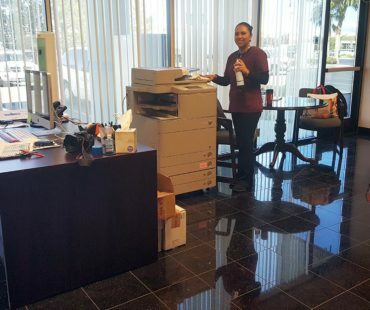 You Got It Maid offers the best cleaning service I have experienced here in Las Vegas. My mom had been looking for a cleaning service for her house, and a friend of mine had recommended You Got It Maid to me. My mom absolutely loves them and their service- and she is VERY picky about how her house looks. After my new granite kitchen counter top installation, the contractor left a mess! Your team spent the whole day here and cleaned every square inch of my house and didn't miss once crevice. They emptied every cupboard, drawer, etc...and cleaned EVERYTHING. I am very grateful to you and your crew. Thanks again for bailing me out of my dusty house. I just wanted to write a quick note to let you know how professional your and your cleaning staff are. It's nice to know that there are dependable, reputable and trustworthy companies still in existence. Just want to take a moment to thank you for the excellent job that you and your company do on taking care of our company house. I look forward to walking into the house on Wednesdays knowing that you have been there. To know that the bathroom, the kitchen sink and the rest of the house is spotless. To climb into my bed knowing that the sheets were washed and the bed made just the way I like it. Edwin LefkovitzPresident, West Coast Leader Express Inc.
with the quality of work. I have recommended Maggie to friends and relatives. I am very happy we found her. We have two Armani Stores in the Las Vegas area and we called You Got It Maid for some help with getting our stores clean and presentable. Maggie and the team at You Got It Maid are a delight to work with and are very professional. The manner in which they conduct themselves and the efficiency of their work left the store sparkling and us in awe. We will use You Got It Maid for future needs and thank them for a job very well done. I have been using You Got it Maid for my townhouse cleaning for three years now and am very satisfied with their service. Since I travel weekly, I'm not always around to clean my vacation rental after guests have checked out. 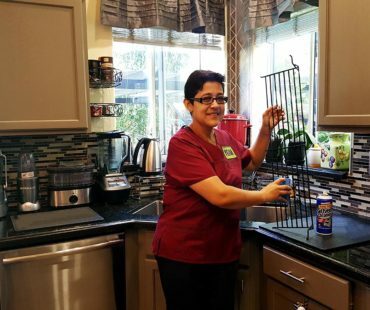 Maggie and her team have always been prompt, courteous; do a great job of cleaning. They even work my needs in at the last minute if unexpected guests are coming into town. I would recommend You Got it Maid for any corporate housing or vacation rental needs. I've been working with Maggie now for nearly a year and it has been a pleasure. I appreciate that Maggie is accessible at all times as available as is her staff, especially on weekends or after hours, when issues tend to come up. Maggie has done a great job in servicing the needs of the guests and I've heard nothing but praises about how well our place is kept. Maggie also goes above and beyond her duties when necessary in satisfying guests. Maggie's filled a need we had and has done well - she's been a joy to work with. I would recommend Maggie for your housekeeping needs. For further details please feel free to contact me. It is a pleasure doing business with the direct owner of this company. Maggie is always very courteous and friendly and she is definitely dedicated to the highest quality of work. I would recommend her to anyone! Thanks for being such a great person Maggie!!! Should you be interested in ordering a house, vacation rental or office cleaning from our company, or find out some of our useful tips on housekeeping and house cleaning, you are always welcome to contact us. Our previous website is available here.